Did your mother call you to tell you that liberals hate science? Did your Facebook feed pop up with an article on a new pesticide that's going to kill us all? Did one of your friends breathlessly tell you that president Donald Trump was going to pardon mass shooter Dylann Roof? You might have heard any or all of these stories, but there's one thread connecting all of them: they're not true. The ability to tell accurate news from fake news is an important skill that you'll use for the rest of your life. 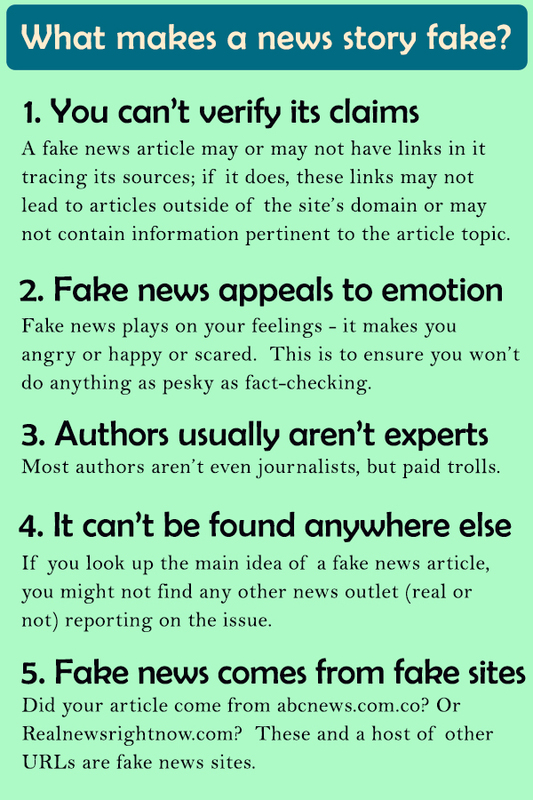 This LibGuide will give you valuable insight in telling fact from fiction online, plus a chance to exercise your newfound skills. Please feel free to share this guide with others. 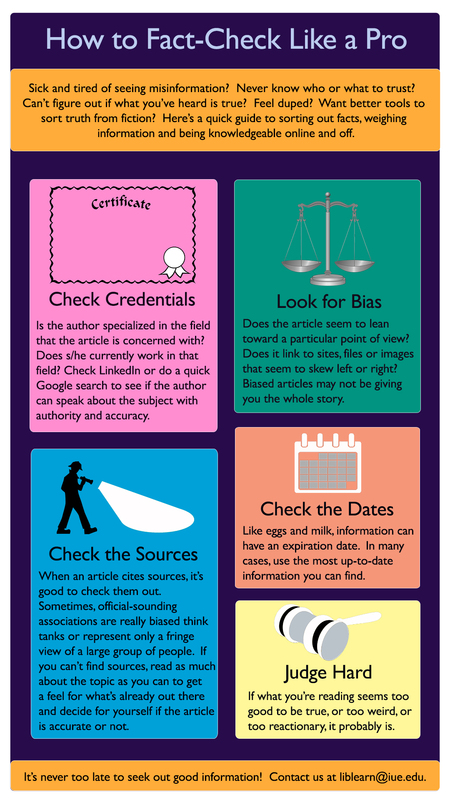 If you are a librarian or teacher, you are welcome to use this guide and its contents for your own purposes. If you do, I'd love to hear about it.